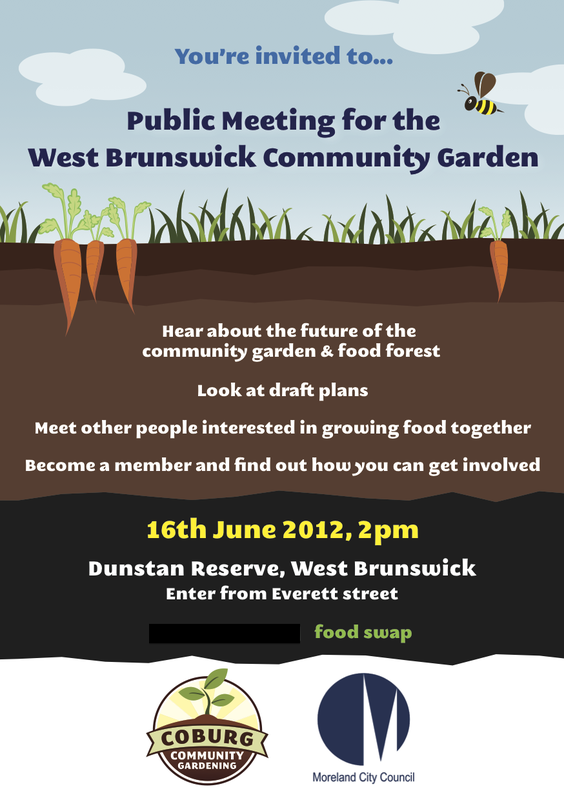 Lots of you have been in touch, keen to be involved in the community garden in Dunstan Reserve, West Brunswick. It's been so frustrating that we couldn't just say to everyone "Come down and we'll get your started!". We've been waiting just like you. Well now all the fun starts! The garden has an exciting future but it needs you. It's up to all of us to make it so. 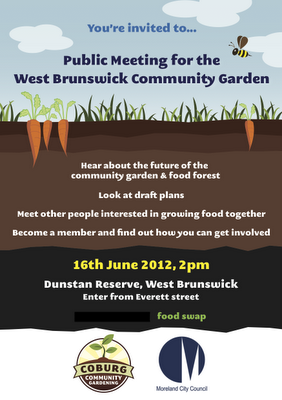 We're holding a public meeting down at the community garden at Dunstan Reserve in West Brunswick for everyone to come along to meet each other, find out more about the future of the garden and how to get involved. Mark the date in your diaries and calendars now. Print out the flyer and stick it on your fridge. Print a few more and share them around. Spread it around and bring your friends too, even if they don't want to get into garden here. P.S. If you'd like to help before or on the day, we'd love to hear from you. Drop us a note via the Contact Us page.